At the start of a new school year, old participants and new members join a variety of clubs to catch a different glimpse of school life. 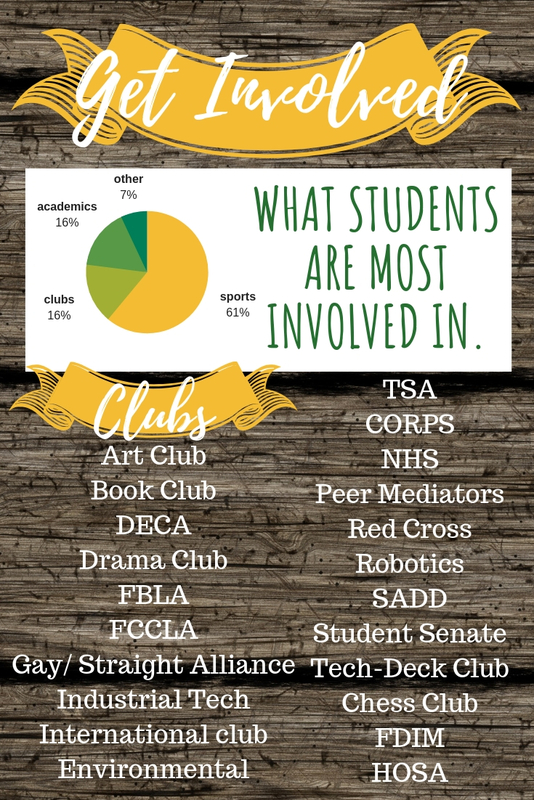 Being involved in clubs is one of the many opportunities high school has to offer. Junior Bailey Trautman chooses to take advantage of the opportunity and make it a priority in her school life by being involved in Student Senate, Prowlers, FCA, SADD, SLT, and NHS. “High school is the time to figure out what you want to do and you have the opportunity to do so much. 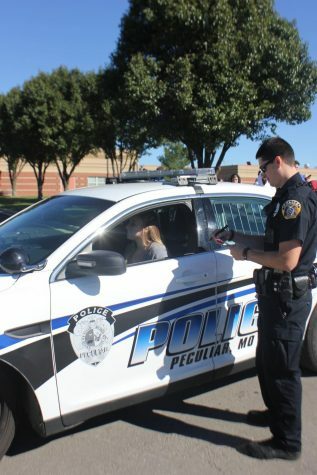 I just wanted to be a part of having school pride and making a difference in the school, not just coming here,” said Trautman. There are several reasons for getting involved in clubs. Students who apply themselves to extra-curricular activities have a higher average GPA than students who just focus on academics. Teacher Jeff Moore suggests joining clubs for personal and academic reasons. “Get involved in school, whether it is athletics, clubs, anything, just get involved. 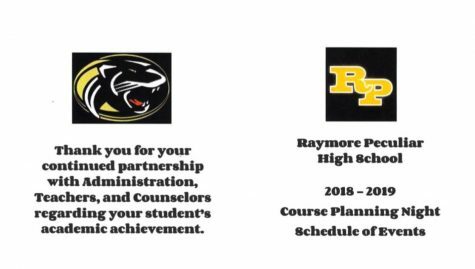 You are helping other people so you are not just focused on yourself, and it is statistically proven that kids do better in school,” said Moore. As a high-schooler, Moore first handedly experienced the benefits of being involved outside of the classroom. “I was in NHS and sports, and I felt like I was part of something. When you belong, you generally care more and want to do more,” said Moore. Being involved allows for students to put their extra energy to use. Senior Trent Oberlander enjoys spending his free time participating in clubs. 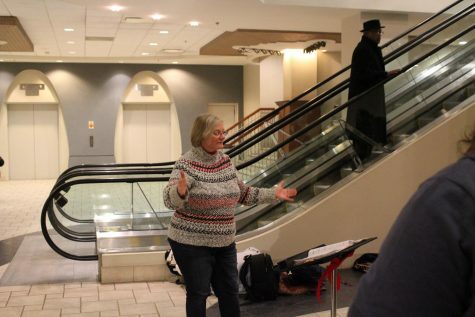 “It gives me something to do so I am not just sitting at home doing nothing,” said Oberlander. 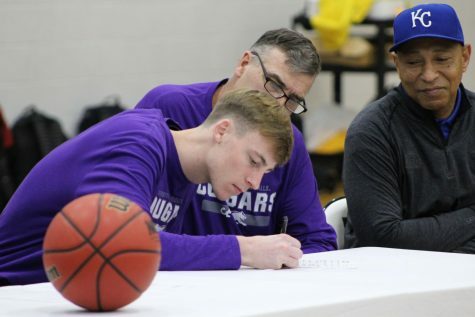 Oberlander’s involvement helps better him as a person and prepare him for his future, making the time-consuming participation worth it. “TSA is a technical club so it helps with what I want to do in the future. NHS and SLT are good leadership opportunities, so it builds character. 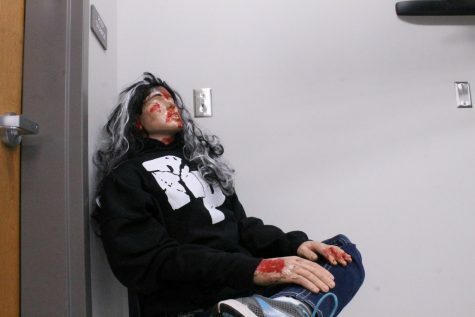 Overall, they all help with time management,” said Oberlander. The time and energy it takes to contribute to multiple clubs can be a challenge. For Trautman, her schedule is full most days of the week. “I have at least one or two clubs every day. It kind of depends on the week. Remembering where to go and when can be stressful,” said Trautman. To deal with the full schedule, having a plan and specific techniques can help keep everything organized. Trautman uses a planner to track her meetings. “I make sure I have my week planned and know what is coming up. I have a planner that I put all my stuff on,” said Trautman. Juggling so many clubs can be managed with keeping track of meetings. However, overbooking one’s schedule can still become a problem. Prioritizing is a key factor to handling the busy schedule of school, homework, work, sports, clubs, and home life. “Sometimes kids overbook themselves and are involved in too many things, so they are not able to give their full effort to everything they are involved in. It is humanly impossible to do everything so they need to prioritize depending on the situation,” said Moore. Juggling multiple clubs can be a task for many eager students, but it provides experiences and benefits. Taking advantage of the opportunity to join clubs is preferred amongst teachers and students. Advocate. 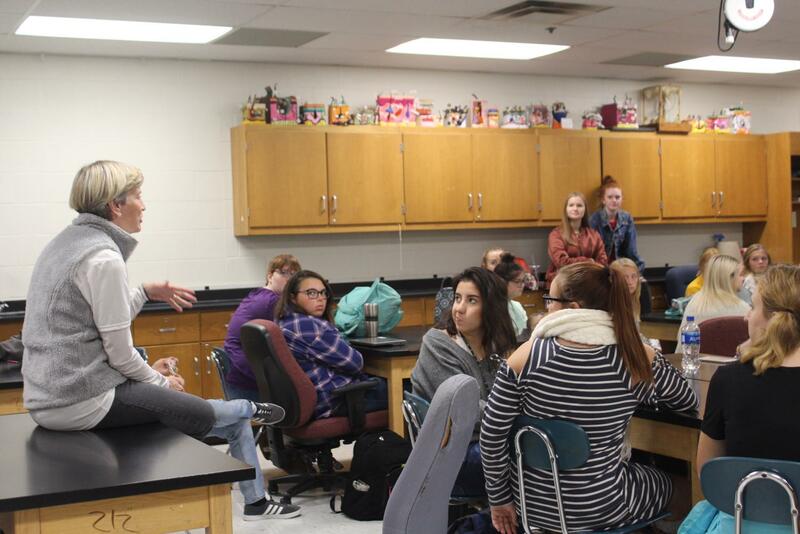 Advising the members of FCA, teacher Mrs. Larson provides them with wise information regarding their religion. They meet every Friday during panther time and discuss different topics each meeting. Their main focus is to spread their faith in Christ and reach out to other students. Inform. Speaking to her students, teacher Ms. Schrader helps organize their meeting. 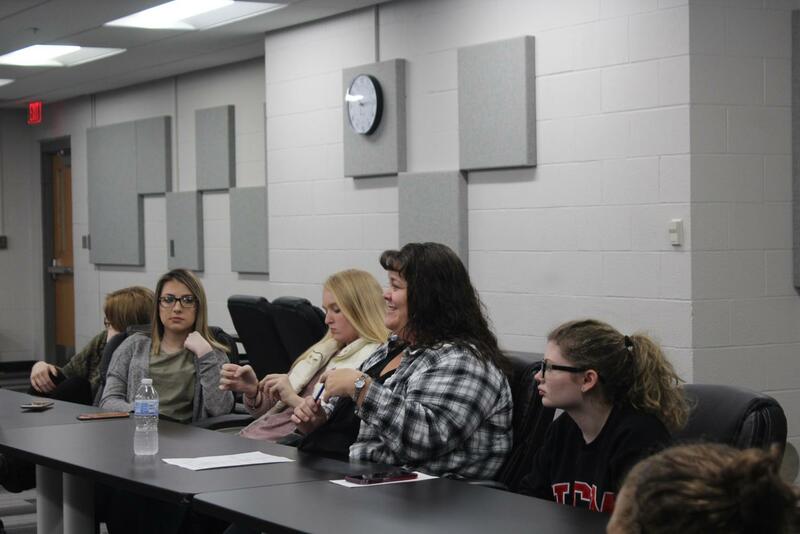 The DECA club consists of students enrolled in marketing classes. The club provides the students with information about entrepreneurship and leadership. Enhanced skills. Gathering in Mrs.Thompson’s room, the officers of Fingerboarding club discuss their upcoming weeks. 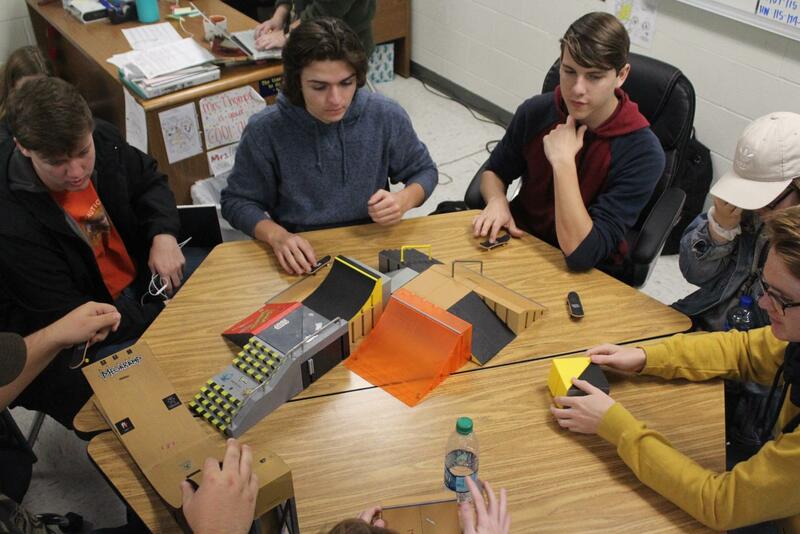 The Fingerboarding club meets every Wednesday during panther time, led by junior Nick Hime. Their goal is to build individual character and social relationships through fingerboarding competitions. Future plans. 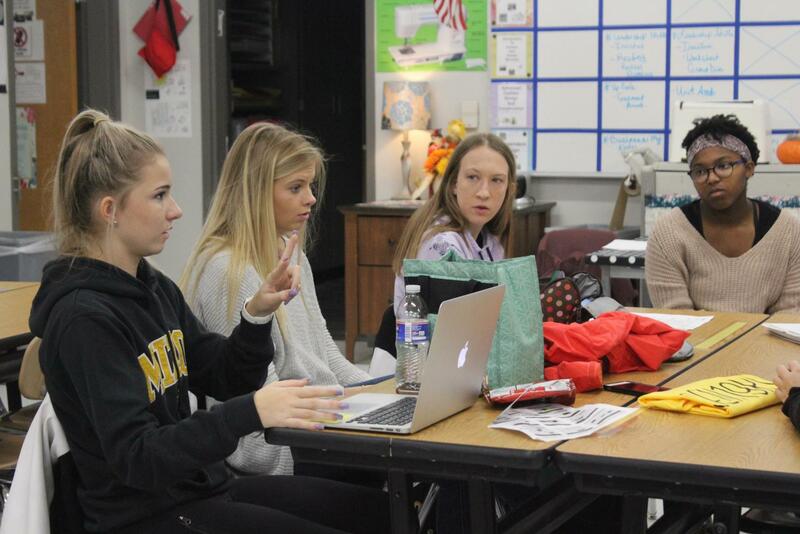 Brainstorming ideas for upcoming events, the officers of FCCLA meet to discuss their schedule. The club is led by Mrs. Snyder and it meets every other Friday. They focus on family and consumer science education to promote personal growth. Final touches. 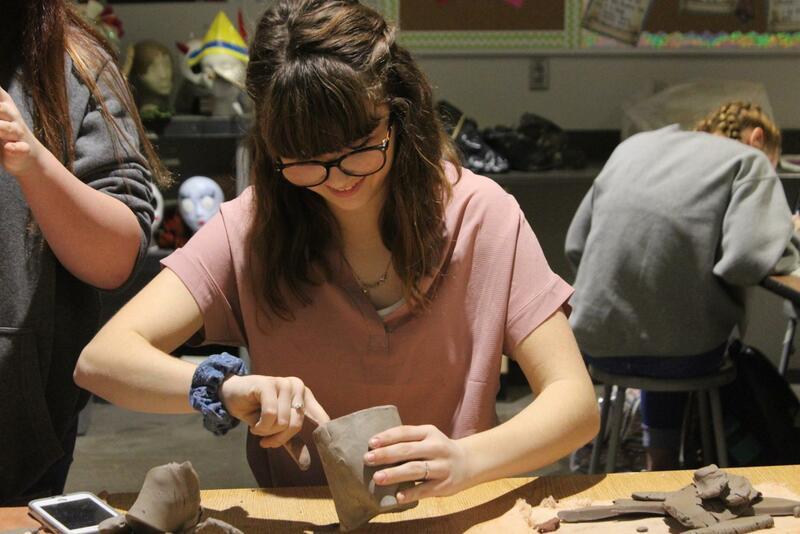 Smoothing out her clay pot, junior Jaden Thomas participates in Clay Club. The club is led by Ms. Easton and meets every other Friday. They focus on enhancing their artistry skills in the form of clay building.